Neoprene water bottle sleeves help keep your hands warm and your drinks cold. 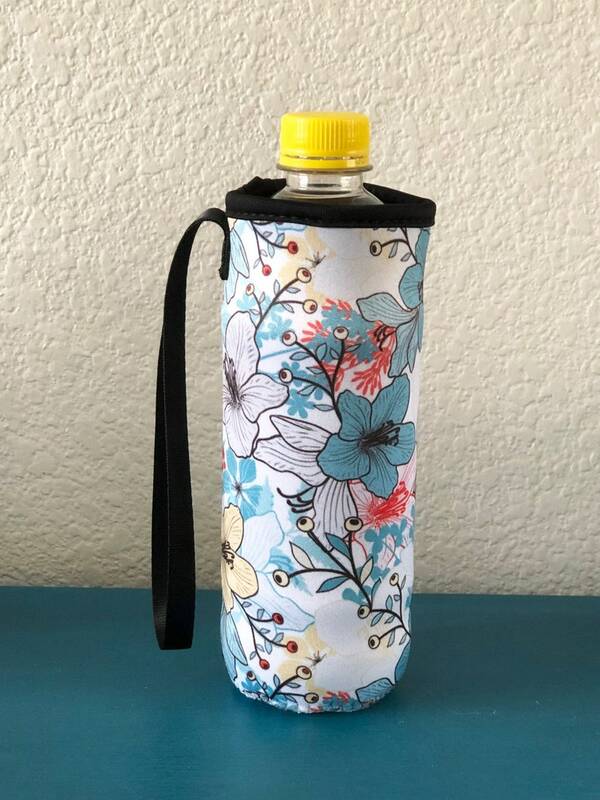 The design allows you to easily slide your water bottle into the sleeve and carry by the sleeve or by the sewn on handle which fits around your wrist or on a carabiner for clipping on any bag. * Made from High Quality Machine Washable (Air Dry) 2mm Neoprene and Stretchy Nylon. I bought this for my glass reusable bottle and it works great. It arrived fast and it is pretty. I would recommend this item.